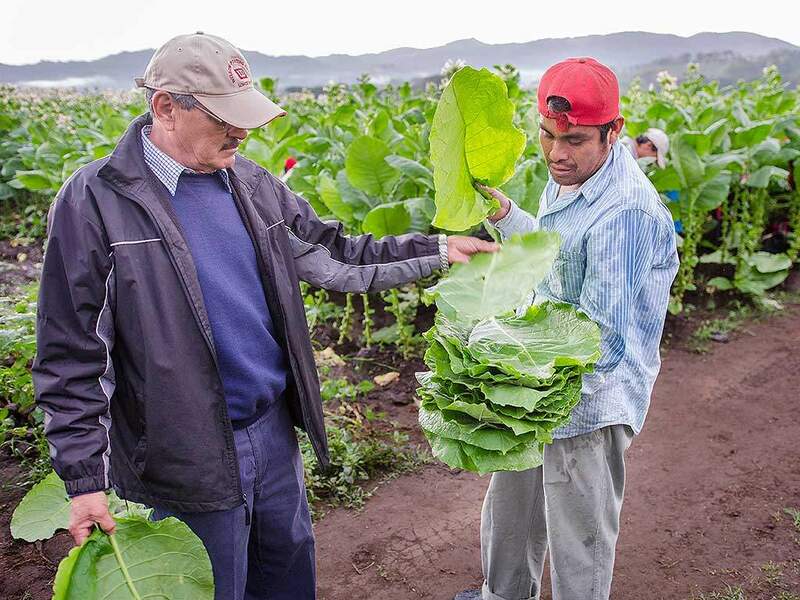 If you want to know anything about tobacco cultivation, Felipe Lopes Meza is the man for you. 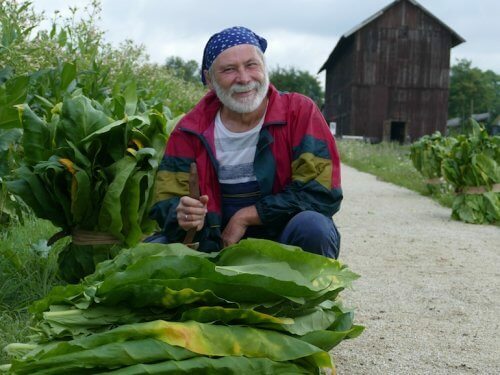 Nothing happens in the Turrent family’s fields without his knowing about it. 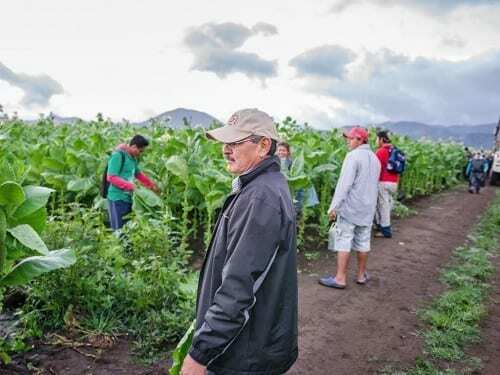 Thirty-five years ago, with an engineering degree in agronomy, Felipe Lopes Meza made the big decision to move away from his large family in the state of Nayarit to start a career in tobacco in San Andrés. 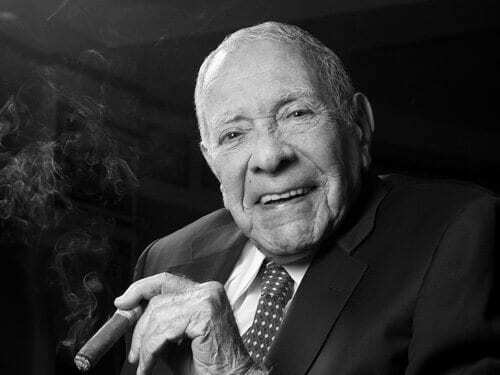 He worked for Tabamex, the state-owned Mexican tobacco company, before he joined the staff at Tabacalera Alberto Turrent 25 years ago. 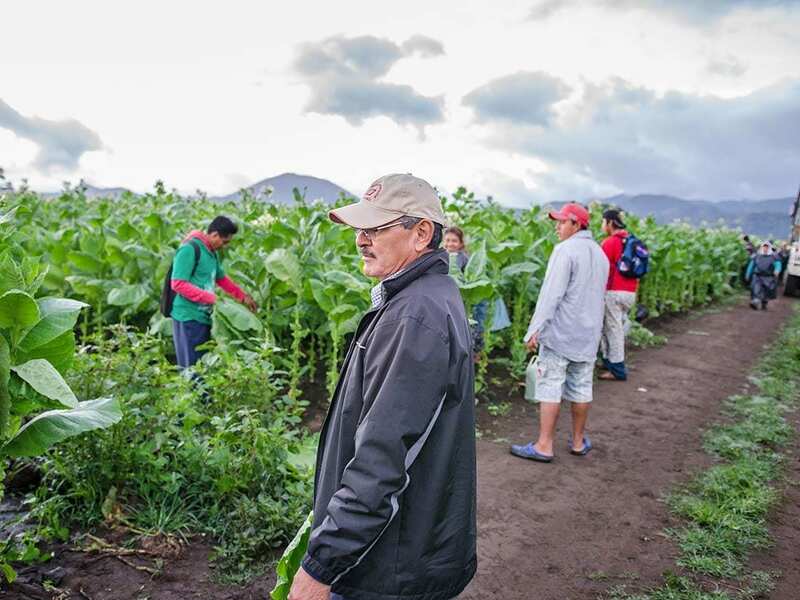 We’re out in one of the fields surrounding the town, where the Turrent family grows their tobacco. 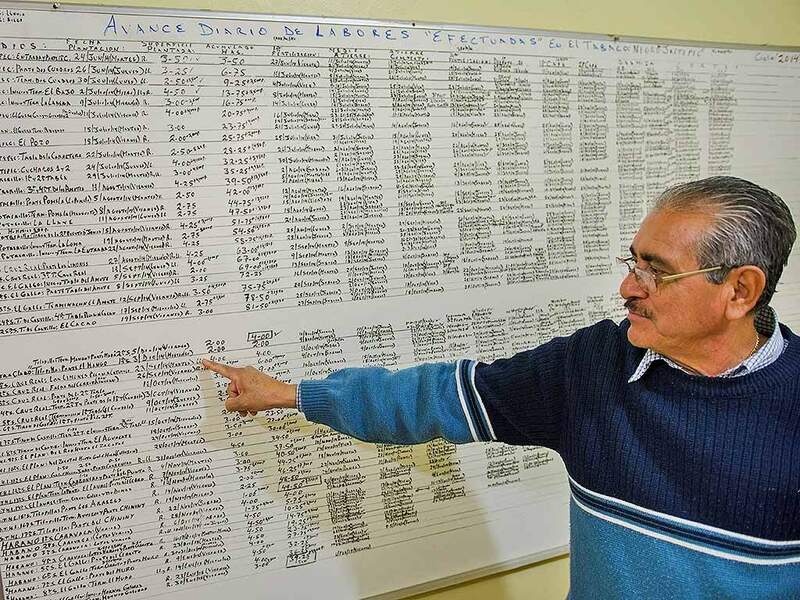 The town is set on a hillside in the northern most tropical forest in Latin America. 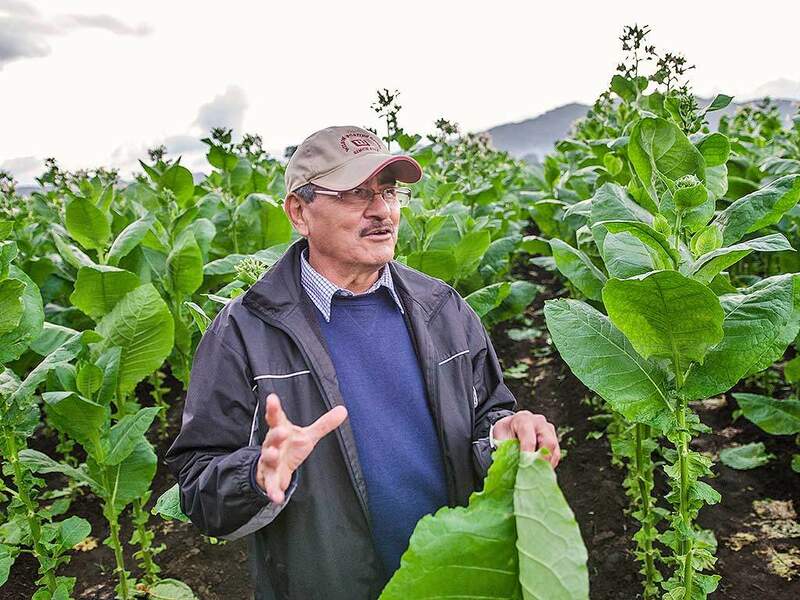 The now-59-year-old is responsible for field operations, and he never seems to run out of things to talk about, especially when it comes to tobacco. We continue on to the next stop, where four guys with horses are plowing the field. “Here we turn the soil upside down so it can breathe,” he explains. At 8:30 am we drive back to his house for breakfast before round two begins. 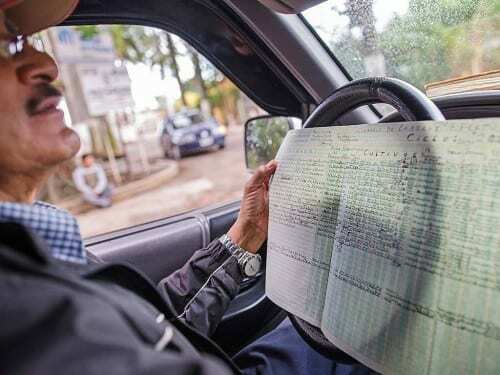 While driving, he unfolds a large piece of paper displaying information about every field, from the time of harvest to the amount of tobacco leaves, explaining to me every column while continuing to drive. I keep my eyes on the road even more than before as if to compensate for his temporary lack of driving focus. We arrive at the house, where his wife, Maricella, is preparing the food. Two hours earlier, Felipe’s working day started with an assembly of today’s workers outside his office at one of the squares in town. 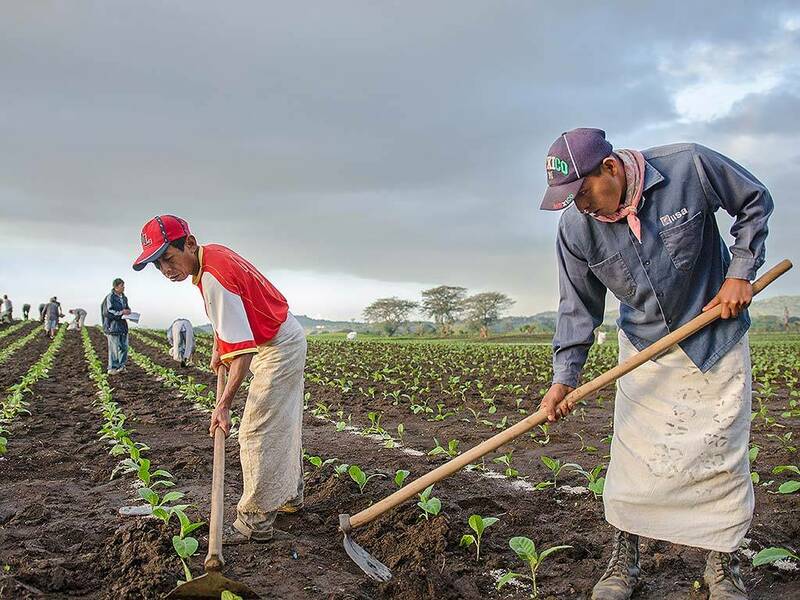 The sun hadn’t even risen as he began the day by delegating work among the team leaders. “We go through what needs to be done that day with the team leaders and drivers. The team leaders then take a group of people to do their assigned task.” Felipe takes a few minutes to freshen up as Maricella serves the breakfast. 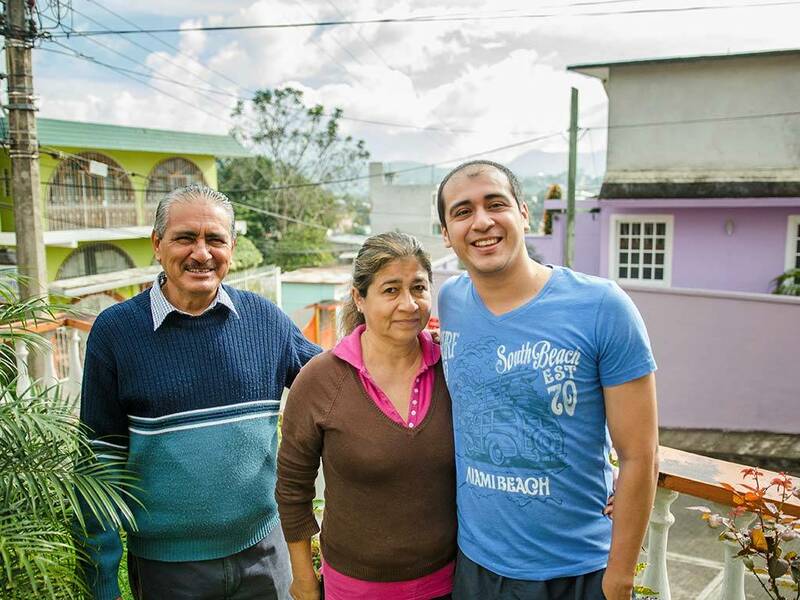 They met not long after he arrived in San Andrés. “What year did we get married again?” he asks his wife, smiling somewhat shamefully. “I always forget.” “You came in 1980, so we got married two years later, in 1982,” she replies routinely. Soon after their first son, Felipe, arrived. 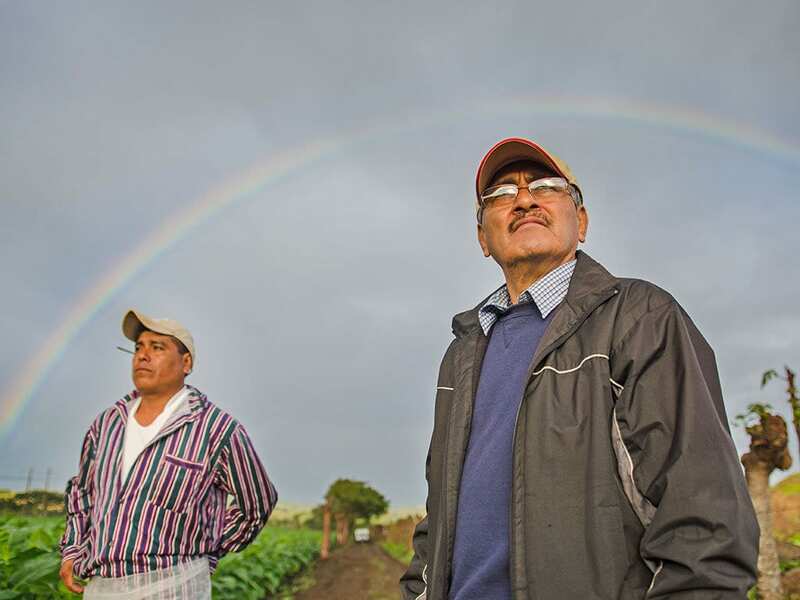 He’s followed in his father’s footsteps and now works for the city as an agronomist. As it turns out, Felipe is somewhat of a saint as well, or maybe a guardian angel for non-swimmers. Round two finishes before lunch, and round three around 3:30 pm. When the workers are done for the day, Felipe drives back to the office to make up the plans for tomorrow. A whiteboard filled with scribbles displays about the same information I had been shown earlier, mid-driving. “This is a compilation of all the tasks performed during the day: the date; what was planted in how many hectares; whether it’s Sumatra, San Andrés or Habano wrappers; when the soil was fertilized, and so on,” he explains again. After work, we drive back to his house, where he normally rests and watches TV before dinner is served. 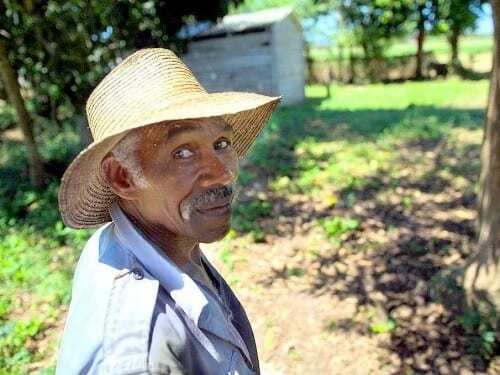 After 34 years, San Andrés is, of course, now his home, but it’s obvious he still misses the place where he grew up and his entire family still lives. When he talks about it he always refers to it as mi tierra, my land. He stops talking and looks away. After a while he looks at me and pounds the left side of his chest with his right fist. It takes me a couple of seconds before I realize that he’s referring to his family always being with him in his heart. “He’s getting sentimental talking about old times,” I hear his wife shouting from the kitchen. Felipe looks away again, up at the ceiling. His eyes are watery and it takes him a while before he can start talking again. I’m proud of my family. “I’m proud of my family,” he continues after a while. 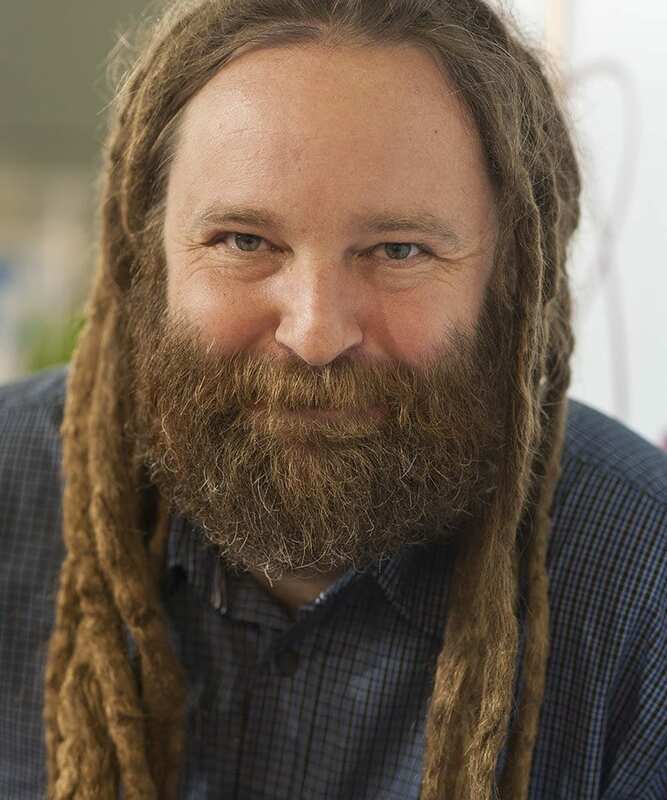 “I get emotional.” Even though he loves his job he hasn’t got much time left doing it. Next year he might retire. 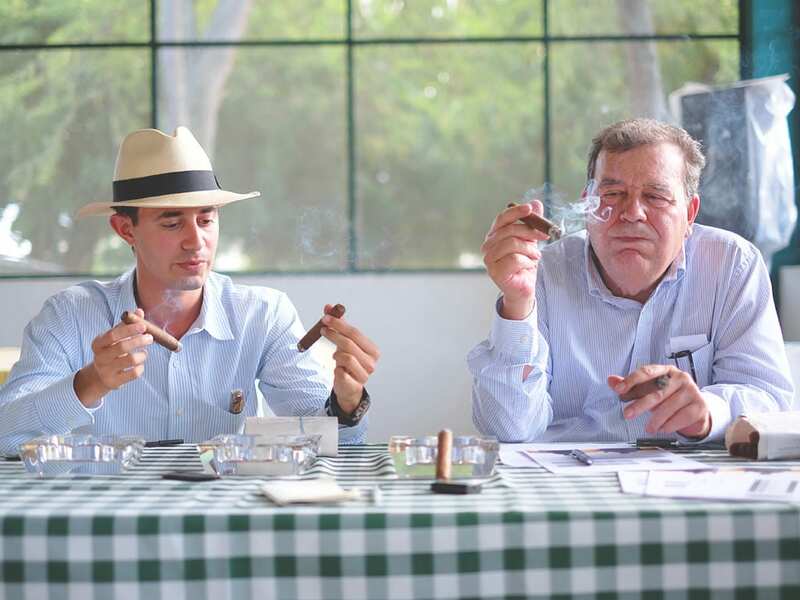 Terroir – What are the Factors that Influence the Flavor of Tobacco?